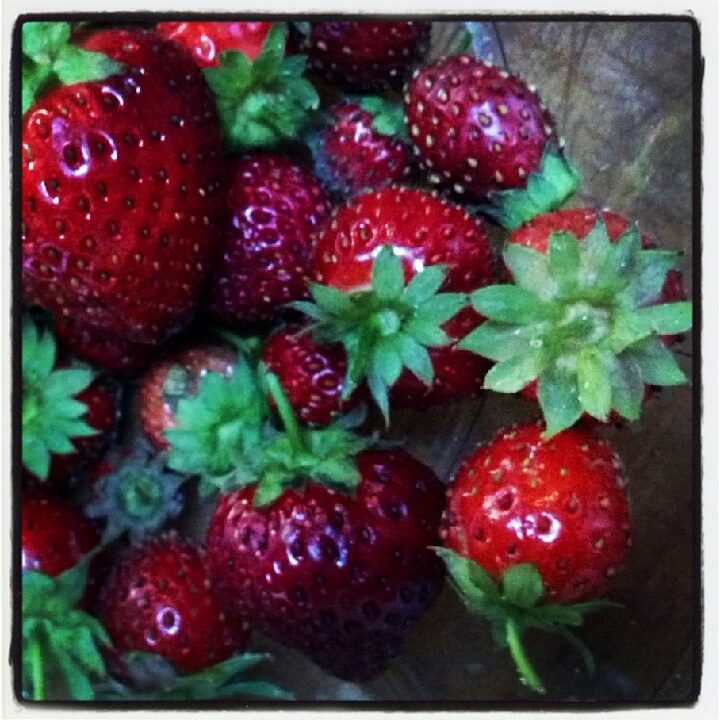 At the risk of sounding like a broken record, strawberries again this week. And also peas! From my "surprise" pea plants. And hot peppers in our dinner every night this week. Delicious! 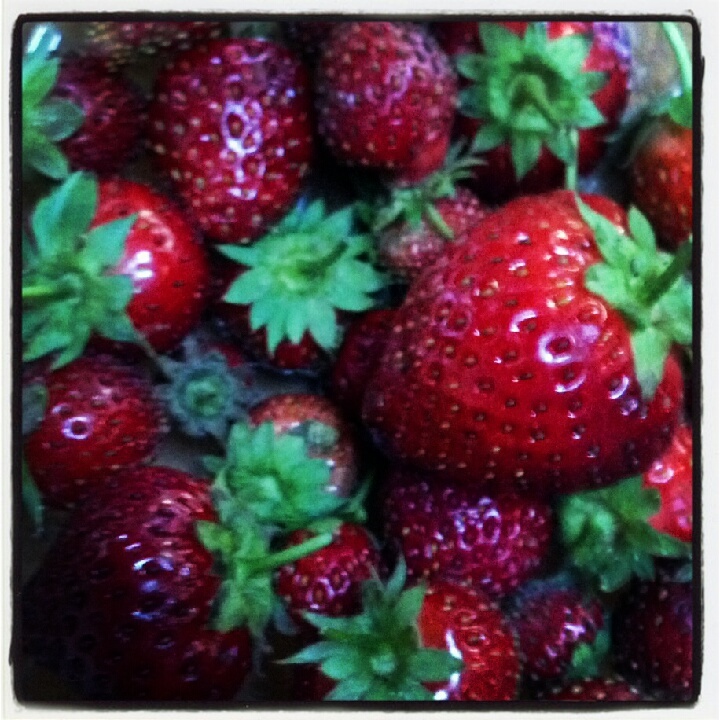 I'm thinking this will be a strawberry week again. And hot peppers. Again. Maybe this week I will find the spicy strawberry recipe that I never found last week. Your berries look yummy! 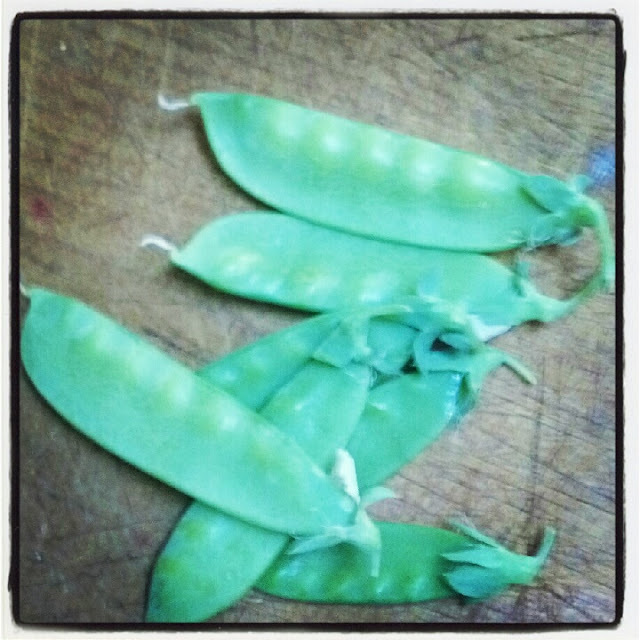 How nice to have peas this time of year! Great little harvest. I wish we had some strawberries. Ours are taking there mid summer break and will be back with us again in a month or so. I want to grab those berries right off my computer monitor!